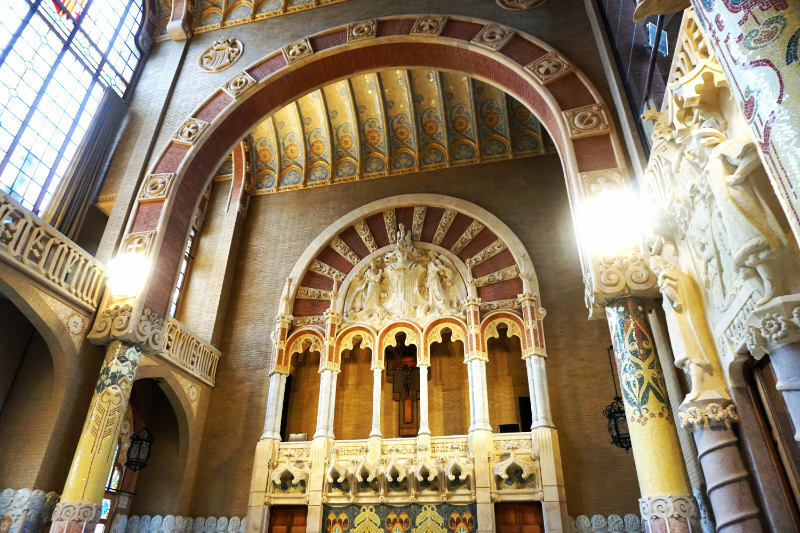 The Hospital de Sant Pau is within walking distance of our apartment. The number of visitors is still low, but it is only a matter of time until this impressive hospital complex will receive the same cult status that the famous Gaudí buildings hold. In his last will and testament, Pau Gil commissioned a hospital. 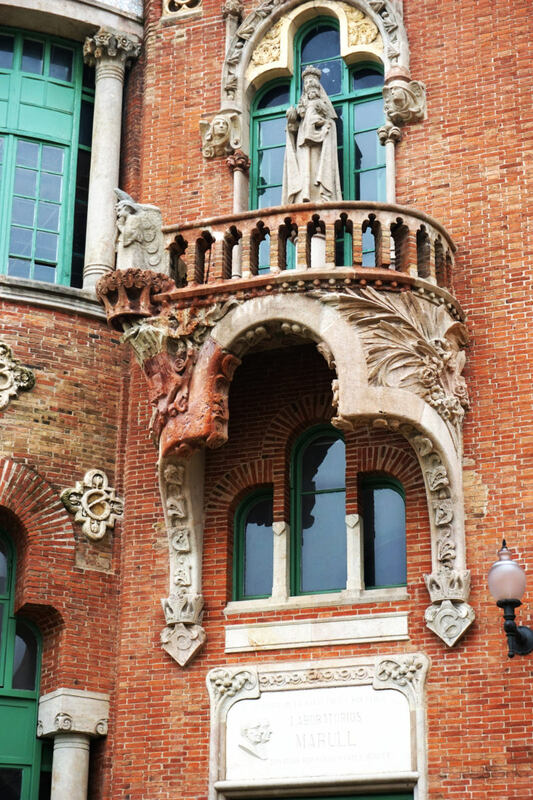 A Catalan architect built the Hospital Sant Pau between 1902 and 1911 in the Catalan Art Nouveau „Modernisme“. He designed 48 separate pavilions in a lush garden. Each of these pavilions was supposed to hold a different medical unit. But what was truly special about the complex were the subterranean tunnels that connected the different buildings. The whole technical equipment was also underground. In 1911 they had burnt through all of the available money but only a quarter of the building was finished. Only when the relocation of a hospital from the city centre was decided more funding was unlocked for the second phase of construction. King Alfons XIII finally opened the 27 buildings of the finished hospital in 1930. The hospital complex de Sant Pau is not in use anymore. A modern, new building was constructed. The pavilions were renovated and became UNESCO World Cultural Heritage in 1997. The pavilions were opened to the public in 2014. Out of the 12 pavilions, 6 are already renovated, two more are currently under construction. The buildings were made out of red bricks. Reliefs, sculptures and ceramic domes are all over the building which due to these elements doesn’t appear like a hospital at all. I, personally, liked the domes above the waiting areas the most. They glow in many different colours, create a cheerful atmosphere and add a shine to the entire complex. The garden area is beautifully laid out. Every pavilion has its own little garden that served as a little refuge for the patients and their families. I even spotted some orange trees! One pavilion recreates the experience of how it was used in the past. The architect tried to design the building in a way that exactly served the needs of the people. A huge hall, which was lined with ceramic tiles for hygienic reasons, was used to house the patients. A small, round room for visitors, rooms for the doctors and even separate rooms for the terminally ill were included into the design. The size of the inpatient ward was totally overwhelming. Imagining being in there with many other patients would certainly not be beneficial for my health. I was impressed by the reception pavilion. This complex within the Hospital de Sant Pau is adorned the most. It was used as the main entrance to the hospital, for patient admission and as an office area for the hospital administration. A pompous stairway leads to the upper floors. Leaded windows allow warm light into the spacious room. Would I have arrived here as a patient, I think I would have been massively impressed by it all. The rich decor, big dome, arches and columns take away the sterile and „sick“ atmosphere of a hospital but rather create the feeling of a palace that one is granted entry to in order to get well. The visit to the Hospital Sant Pau was well worthwhile to me. 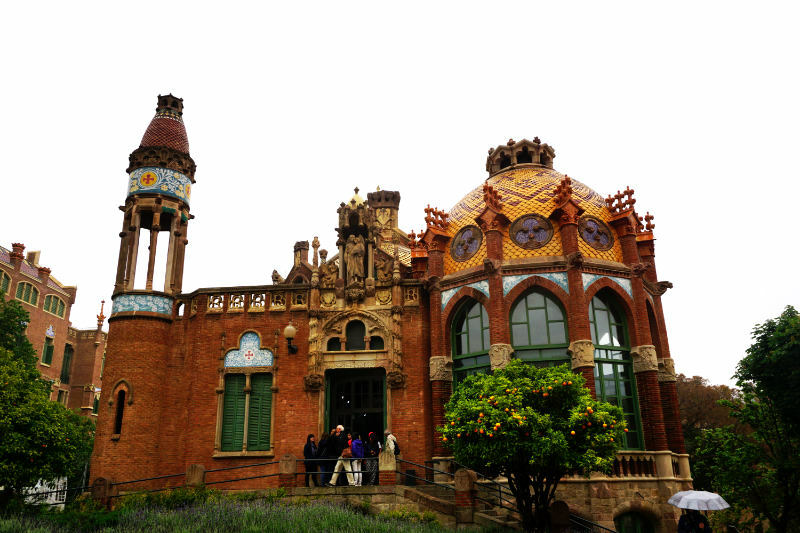 The admission fee is relatively low compared to other sites in Barcelona and many pretty, little details wait to be discovered. I’ve passed by this building a hundred times but never realized you could enter it -looks like I’ve been missing out! Love the style of the inner domes. Barcelona really is a dream for architecture enthusiasts. Like many others commenting, I had never heard of Hospital Sant Pau. What an amazing find. Hoping to visit Barcelona in the next year so this is now added to our “must-see” list for certain. Wonder what it must have been like to be a patient here when it was a working hospital. Wow, I can’t believe that I never heard about the hospital complex de Sant Pau… and I have been like 10 times to Barcelona! The place looks absolutely glorious – hard to believe it was just meant to be a hospital… <3 Thanks for sharing, will definitely check out this place on my next visit to Barcelona! I visited Barcelona a few years ago, but missed this completely. What a beautiful building! It does not look like a hospital, and like you, I imagine that this was to take patients’ minds off thoughts of sickness. I wonder if it is possible to explore the underground tunnels? I shall be sure to search this out next time I visit Barcelona. I didn’t get to see the Hospital when I was in Barcelona a year ago. I wish I had because I’m an RN and practiced for several years. The inside is just drop-dead stunning. Totally would’ve loved to have looked at that kind of scenery had I been a patient. But I also see where it would be overwhelming too! I’ve never heard of this place and would have never thought it was a hospital! The architecture is beautiful and the underground system sounds fascinating. I’m definitely bookmarking this UNESCO site! Wow this place looks amazing, I love that each ahs its own little garden. The articture is beautiful, I hope I get to visit some day. I’ve never heard of this place, which seems like a shame! What a beautiful building!! Hard to believe it was meant to be just a hospital. I’ll definitely add this to my itinerary whenever I make it to Barcelona! Wow, utterly fascinated by your post about the Hospital de Sant Pau. I had not even heard about this place when we visited Barcelona many years ago! I think that definitely makes this a genuine hidden gem! The architecture is really beautiful and ornate, and the I really love the use of red brick along with colourful tiles and carved stonework. I’m bookmarking this for a future trip to Barcelona! Gorgeous! I absolutely love historic buildings with marvelous design.